One of our Favorite Things to Do in Sedona! The Broken Arrow Tour is one of Sedona’s most extreme off-road adventures. Once you strap into your seat, the Broken Arrow tour will take you on a thrilling ride across the Sedona terrain. Hang on tight while your driver/guide navigates the red rocks Sedona is renowned for. You’ll be amazed by the beauty of Sedona’s rugged landscape. Be sure to take lots of pictures of Red Rock formations and then hold on tight as you prepare for Broken Arrow Road of No Return. The Broken Arrow Tour is not for everyone. If you have any physical issues, neck, heart, back, afraid of heights, etc, you may want to think twice before you roll on out for this tour. They don’t call it the road of no return for nothing. Of course there are seat belts, so strap in, hold on and have fun. 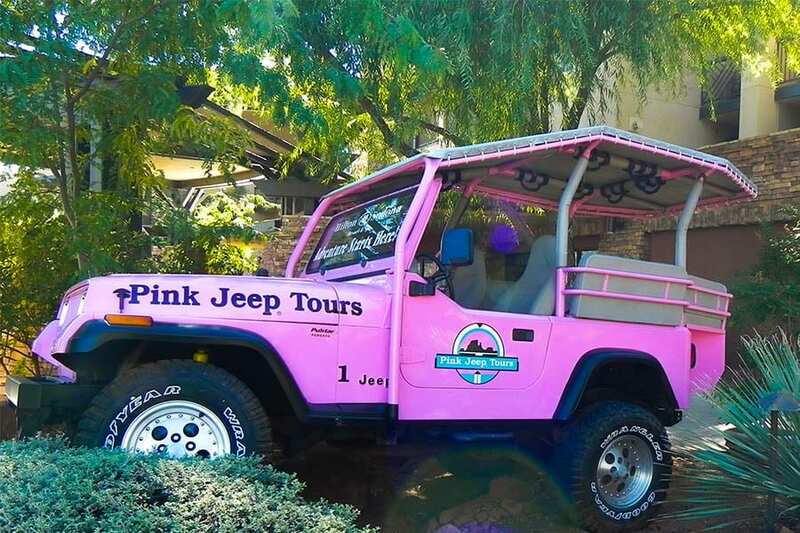 Lots of people ask what time of day should I take the Broken Arrow jeep tour? Well, we will answer the question this way, there really is no bad time to take the tour. Things to consider. In the summer months, the mornings are much cooler. Consider what do you have planned for the day, do you start off with a bang or save the Broken Arrow Tour to end your day with a wow!! Tough choices indeed. Our favorite time and the real way to get your money’s worth is to book the tour time that coincides with sunset. There really is nothing like a Sedona sunset and experiencing it out in the wide open Sedona wilderness… is quite magical. PS: The Sunset times usually sell out first so book soon. Don’t wait till the last minute. What should I bring on the Broken Arrow Jeep Tour?